In addition to guest posting on the UpCity blog, Websauce Studio is featured as a Top Web Designer in Sacramento. Check out their profile here. If you’re reading this article, you’re likely well aware of the power of Instagram. 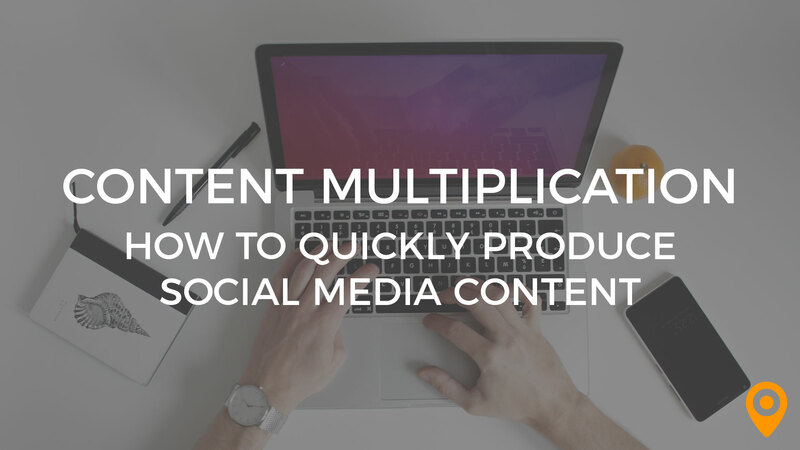 You’re also probably aware of how difficult it is to create consistent, native, original content for the platform. 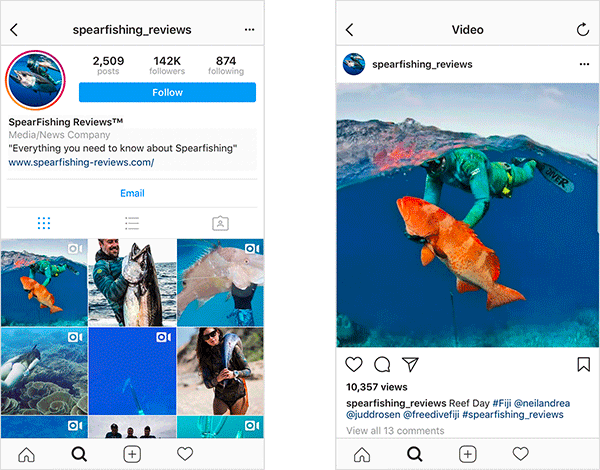 Since Instagram’s inception, users’ expectations for the quality of the content in their feed has gone up and so has the quality of the competition. To stand out and maintain engagement usually means professional quality photos or videos and beautiful imagery. If a client can provide this, then by all means fill that feed with what they’ve got. However, if you’re not snapping those well composed shots for them and they don’t have the content that will help them shine, you may want to consider running a feature account. What Is A Feature Account? A feature account is one in which you source content from other accounts and repost their content on your own feed. When you repost their content, you give them credit by tagging them in your image and/or in the caption of your post. There are two types of feature accounts. The first is directly associated with the brand running it. Spireside Candles is an example of this type. They post their own products, but almost all of their content has been created by their customers. 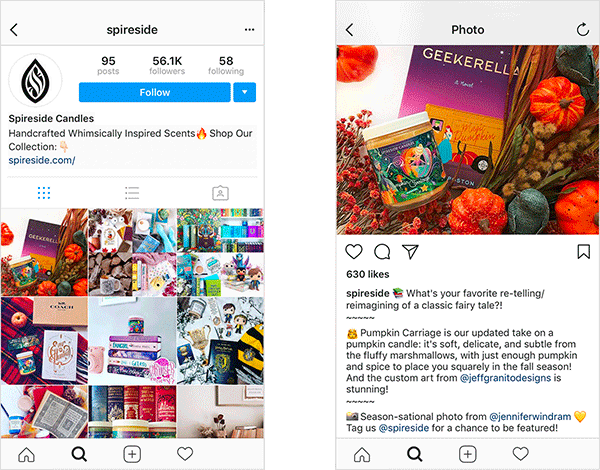 Spireside encourages their customers to get creative with their product for a chance to be featured on the Spireside account. With all but a handful of posts being featured content, this community has enthusiastically delivered. Spearfishing Reviews is another example of this type of feature account. They run an e-commerce website for spearfishing gear, but instead of featuring products they repost spearfishing videos from around the world. The other type of feature account is one not directly associated with the brand, but rather tied to a customer interest. The account Smoothie Bowls is run by the company Coconut Bowls. You can put anything into a bowl, but smoothies are a popular and colorful dish to work with, so Coconut Bowls built an account around only this dish. 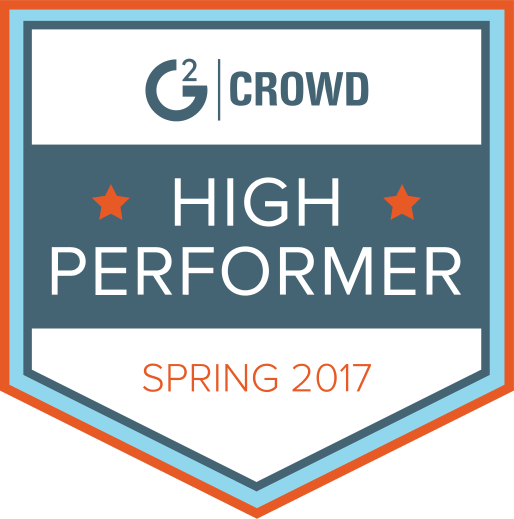 Hundreds of users have provided incredible content and the page has grown to 157k followers since it was established in February 2015. As you can see so far, one of the main benefits is the near endless content supplied freely by users in the Instagram ecosystem. 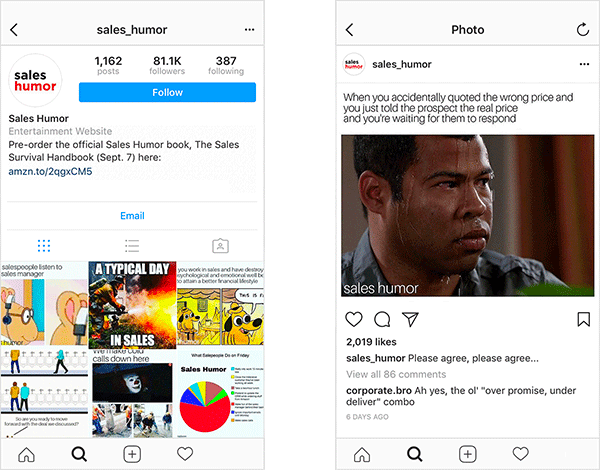 Initially you’ll have to do the heavy lifting of scouring Instagram for content to repost, but once a feature account gets large enough you can use a branded hashtag and watch the content come to you. Barista Daily is a feature account sharing coffee related content and is run by Alternative Brewing, an online retailer of coffee brewing tools and accessories. Notice how Barista Daily includes, “Get Featured #Baristadaily & Tag us” in their profile description. 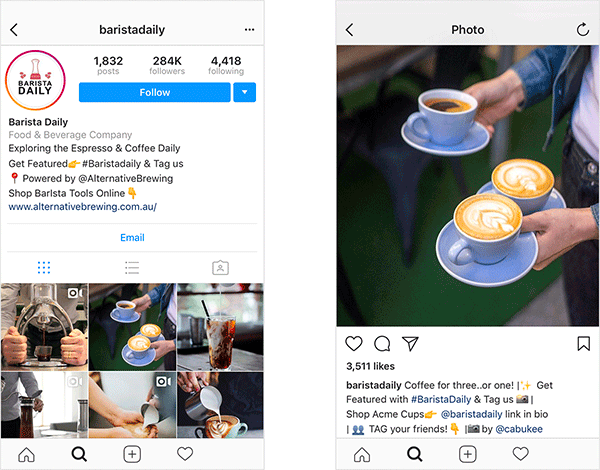 This lets users know that by using the hashtag and tagging @baristadaily, they are giving Barista Daily permission to use their content. While your account is new though you’ll want to DM any account owners whose content you want to use in order to first get their permission. If you choose to execute the second type of feature account we discussed, your client also gets the benefit of being associated with what that account stands for. 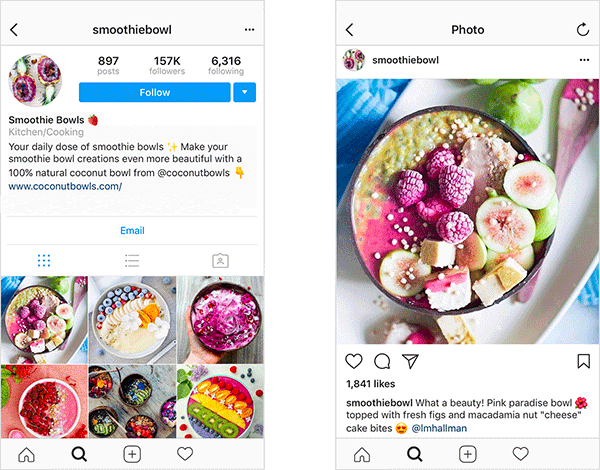 Coconut Bowls aligns their brand with the fun, creative, and healthy message tied to their smoothie bowl account. Alternative Brewing aligns their brand with the currently hip and vibrant barista and latte making culture. I’m surprised I don’t see more brands creating feature accounts around their customers’ interests, but this only means the markets are ripe for executing the strategy. Here are a few examples of feature accounts that should have been started by brands. 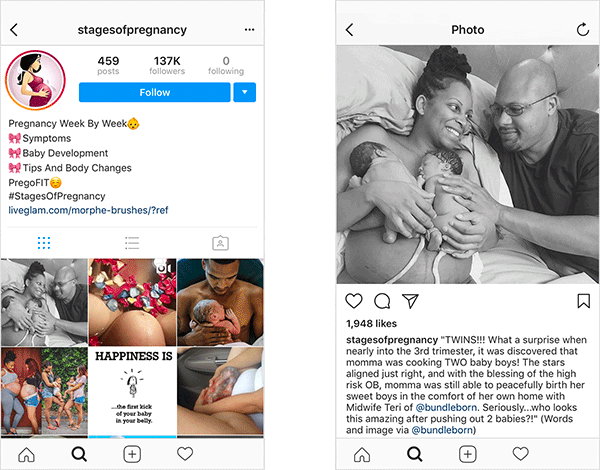 Stages of Pregnancy sends traffic to LiveGlam, a monthly cosmetics subscription box service, but is actually run by one individual. And any other organization working to connect their brand to one of the most powerful and meaningful stages of women’s lives. 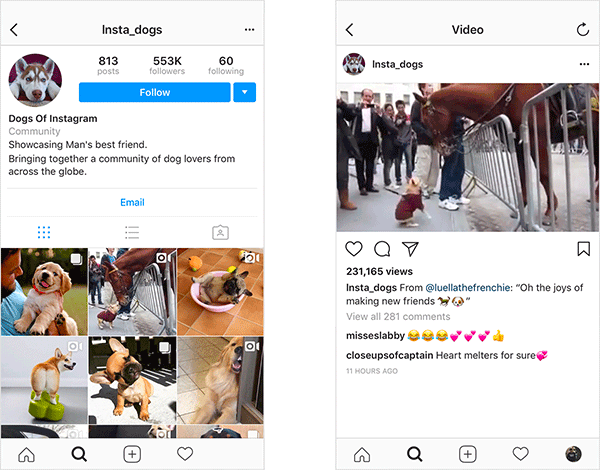 Other than Cats of Instagram, one could argue there is not a more obvious type of feature account to start than Insta Dogs. Pets are the darling children of the internet and PetSmart would have been wise to jump on that train. And any other organization looking to reach the dog owner market. Or any tech startup trying to reach salespeople. Now’s the time to focus on Instagram for your clients, as it recently hit the 800 million monthly active users mark. 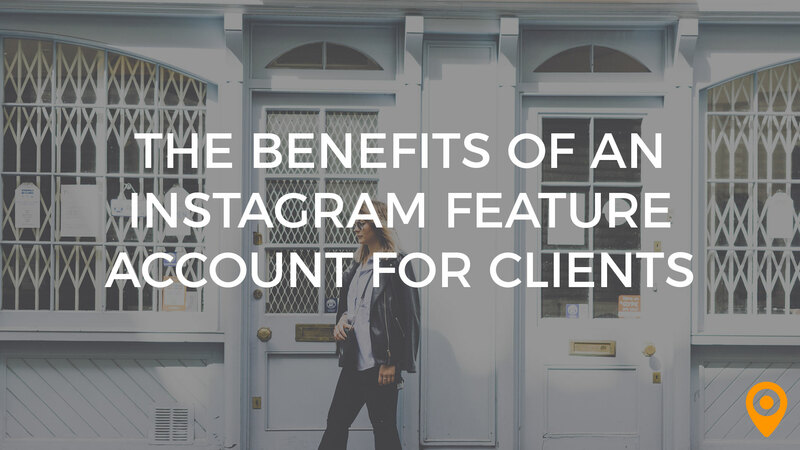 If you see the power of Instagram, but don’t know how to harness it for you clients, a feature account might be the key to success. 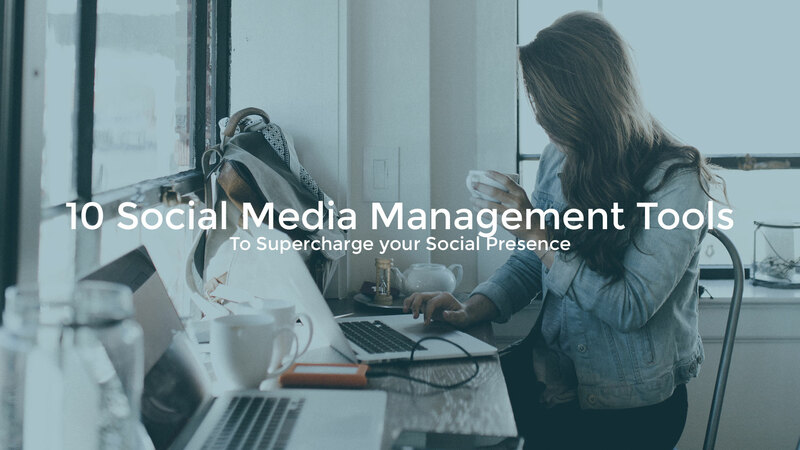 By crowdsourcing high quality content, a small business or brand can quickly connect with their desired audience on a rapidly growing platform. Andrew Peluso was a freelance web design and marketing consultant from 2012 to 2016 until joining Websauce Studio as a Partner and Marketing Director. 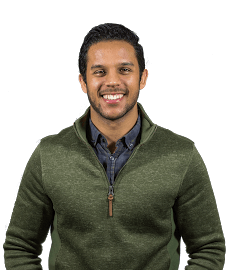 The intersection of psychology and business in digital marketing fascinated Andrew which led him to study online marketing deeply while doing freelance design work for clients. In 2014 he co-founded a non-profit called Campaign One At A Time working with children going through cancer treatment. 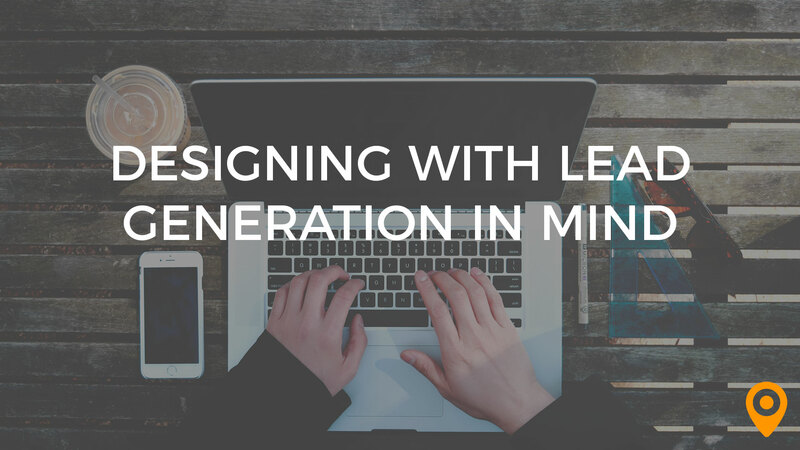 He does all design, branding, and marketing for the organization as well as spending time with the children and their families.